Hello and welcome! 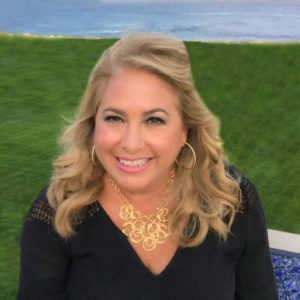 I’m Andrea Reiser and while I call myself a happiness coach, author and speaker, others refer to me as a “life brightener,” “happiness cheerleader” or “inspiring dose of sunshine.” Having studied positive psychology and the science of happiness, as well as trained as a life coach, I know that each of us is in charge of our own happiness, and it’s my pleasure to share with you messages of motivation and encouragement. On the professional side, I have a B.S. in Mass Communication/Public Relations from Boston University, and I’m a member of the American Society of Journalists and Authors. 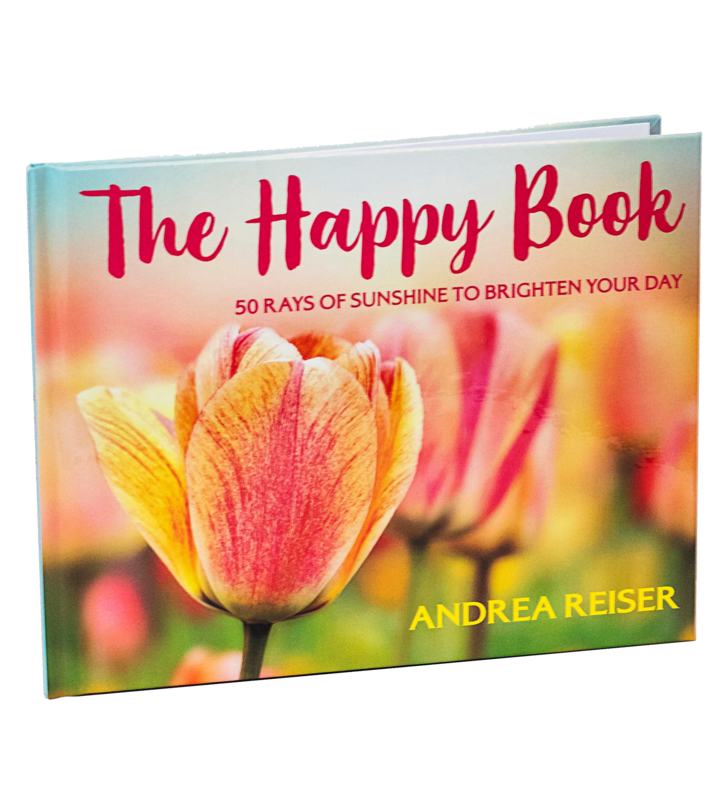 My most recent book, The Happy Book: 50 Rays of Sunshine To Brighten Your Day (PickleStar Press, 2018), is a colorful gift book I created with 50 of the most popular quotes I have designed for my large happiness community on Facebook. My earlier book, Letters From Home: A Wake-Up Call for Success & Wealth (Wiley, 2010), has been described as “required reading for all parents,” and a “blueprint for raising healthy, happy, productive, and loving children.” A contributor to The Huffington Post, I’ve written for and been interviewed in a variety of print and online publications including Woman’s Day, Parents.com, Care.com, Chicago Tribune, and The Stir. I’ve appeared on Fox Business and News12 CT, as well as on dozens of radio shows across the country. On the personal side, I’ve been married since 1993 to the same guy who proposed just seven weeks after we met (see 29 Things I’m Grateful For On Our 20th Anniversary), and I’m the proud mom of four sons, including identical twins, who are all in college and beyond. I had a preventive mastectomy in 2007 after I lost my mom to breast cancer and learned I carried the BRCA-1 gene mutation (read more in They’re ALMOST Real, And They’re Spectacular), and I’m always happy to talk to other women facing a similar decision. I adore Broadway theatre, especially musicals (recent favorites include The Band’s Visit, Hello, Dolly!, Three Tall Women, Come From Away, Hamilton, The King & I, The Audience and Something Rotten). And don’t groan, but my lifelong guilty pleasure is the music of Barry Manilow (you’ll get why in Barry Manilow: My Musical Comfort Food). In my spare time I’m on a never-ending quest to create the world’s yummiest chocolate chip cookie. Home for me is New York City, as well as by the beautiful beach where I grew up in Narragansett, Rhode Island.